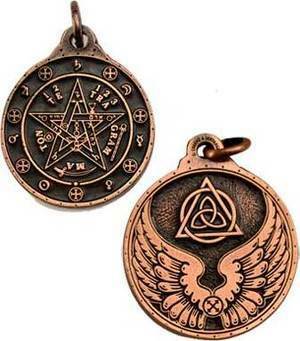 Designed with Hermetic and Kabalistic precepts, this talisman includes a simple ritual to activate the talisman. Card printed in English and French. Has cord. Fine Pewter/Copper Finish. 1 1/4"